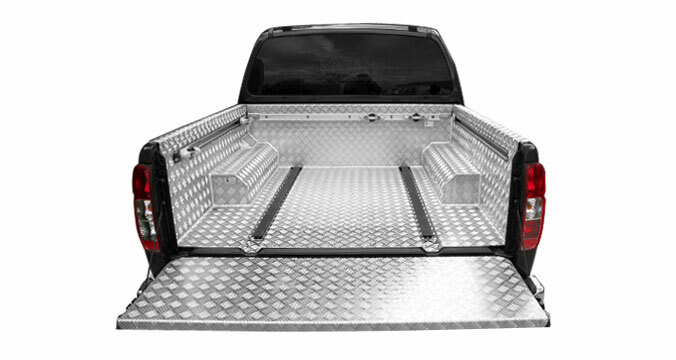 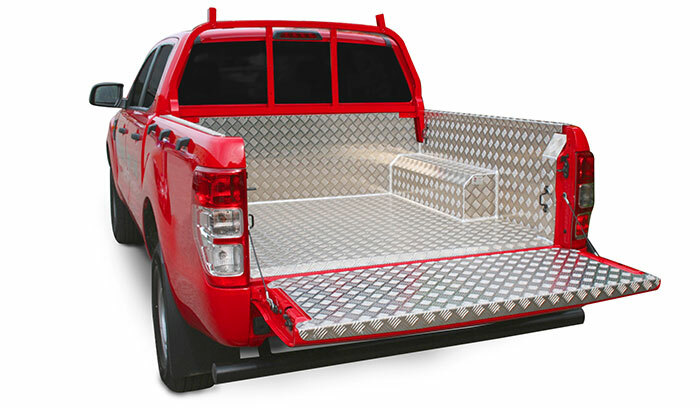 The Samson aluminium chequer plate load bed liner is a tough and stylish way to protect your Pickup’s bed from scratches and dents. 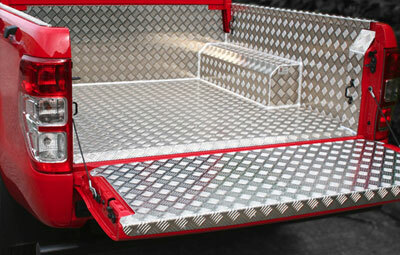 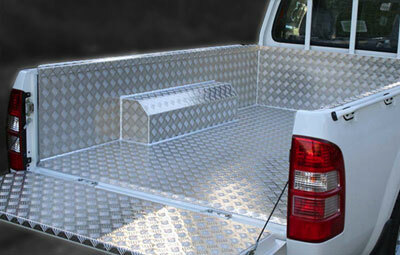 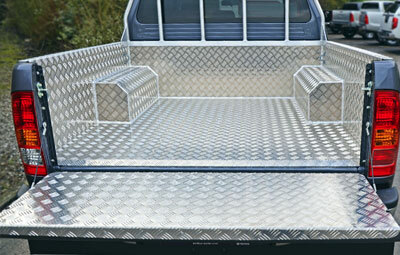 The chequer plate comes in one piece that covers the floor, bulkhead, wheel arches and sides. 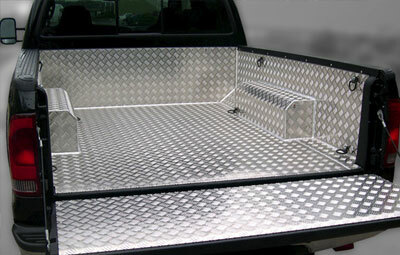 The tailgate section is supplied but is separate from the single piece liner. 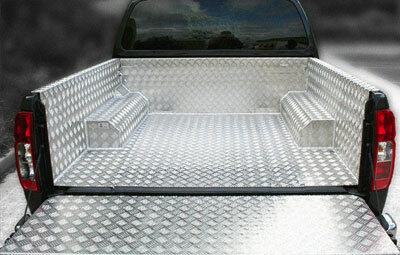 The pickup’s wheel arches are covered by the same tough aluminium cover for added protection. 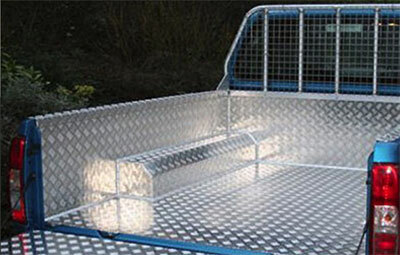 All liners are supplied with fixings and covers to make this product look and feel like it is part of the original vehicle finish (additional items can be special ordered or bespoke fitted).